Hampton striker Zak Joseph put his side two up with a finish into an empty net after rounding the keeper with a minute left in the first half. Joseph was involved in Hampton’s third too when he played Marcel Barrington in on the edge of the area, his low drive finding the bottom left corner. Melino Sanchez missed a chance to grab a late consolation for the visitors after some poor Beavers defending. However, he failed to capitalise and struck wide. 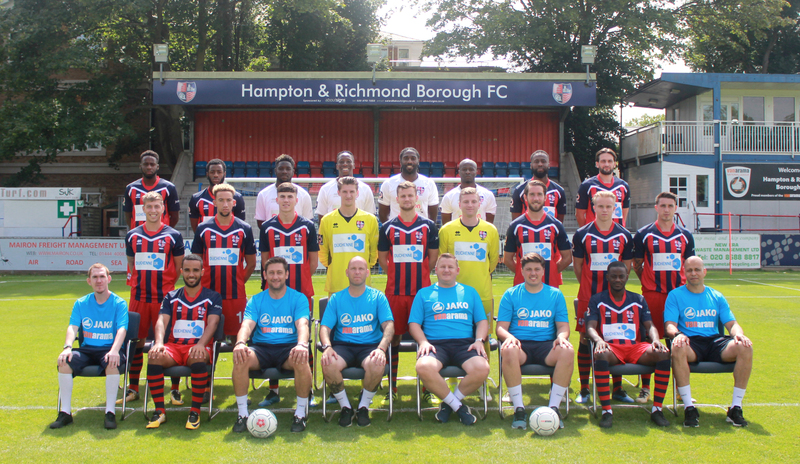 Hampton, who made six changes from Saturday’s draw with Slough, started bright. Ryan Hill hit a one-on-one straight at the Hayes and Yeading keeper. Joseph found himself in a one-on-one situation early on too after playing a tidy one- two with Ricky Wellard. Again he could only strike directly at keeper Jack Smith. It took something special to break the deadlock. Wellard’s free kick precisely. The opportunity on the right side of the box coming after Casey Maclaren drew a foul. Maclaren was involved in Hampton’s second, his sumptuous through ball into the path of Joseph allowing the striker to step round Hayes keeper, Smith, to slot home into an empty net. Barrington’s low effort into the bottom left corner after a lay off from Joseph sealed the win for the Beavers - their first in exactly a month.